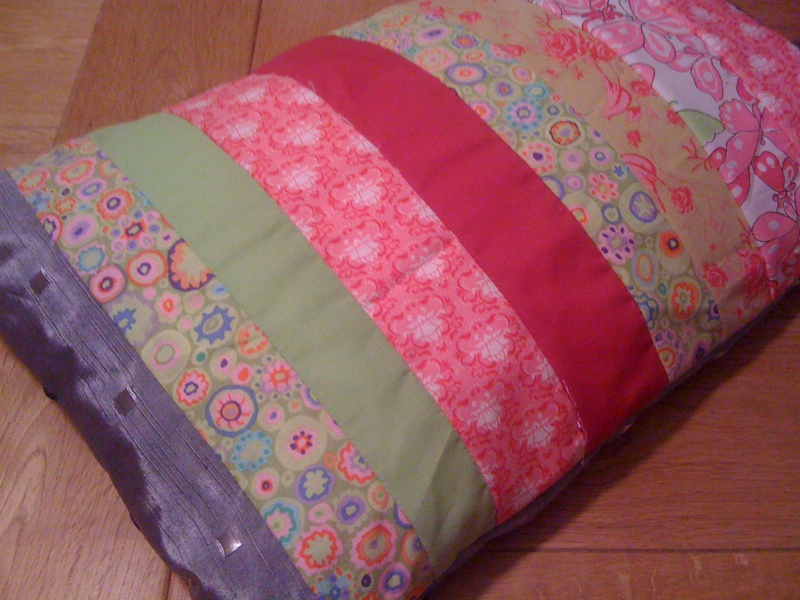 This stripey cushion was so easy to make I just had to share it with you. 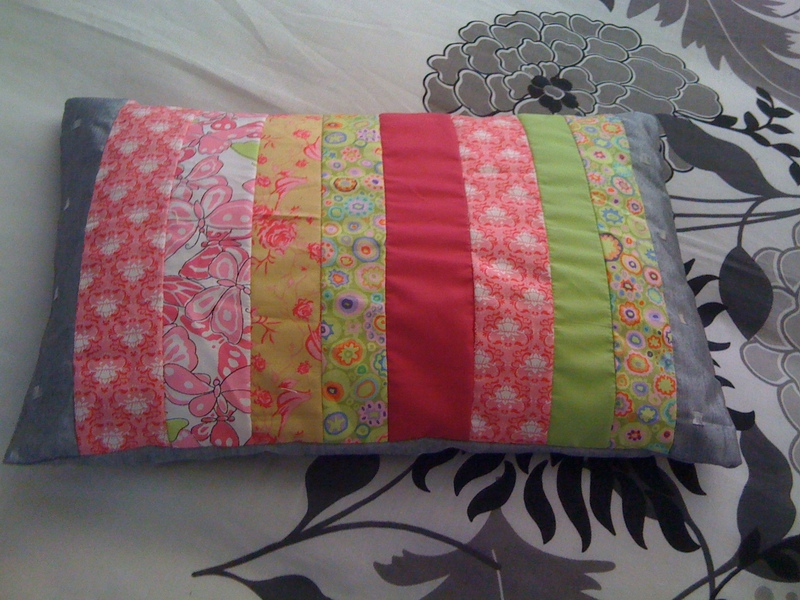 I’ve made lots of cushion covers before but not patchwork style. This is a fixed cover and so I’ve it needs washing the entire cushion will have to go in the washing machine – but as it’ll quite small it’s not a problem. I’ve chosen fabric of cuts from a quilt that I’m making for our main bedroom and I thought a matching cushion would look great to go with it. I don’t always do a lot of planning and so I just cut up loads of stripes of material, none measured, and started sewing them together and so there was a little trial and error on how many stripes were needed to span the width of the cushion. I also wanted the first and last stripe to be the same material – this means that not all the stripes are the same width but that’s the effect I wanted and as they are all different materials you don’t notice it either. Also the end stripe colours are the same as the backing. What I used and how I did it: Fabric off cuts cut into Stripes and sewn together to make the desired length required, making sure they are 2 inches longer each end that the cushion size. Cushion. Fabric for the reverse of the cushion cut 2inches larger that the actual cushion. Sew the front stripes to the backing material (good sides touching), leaving one edge un-sewn. Turn in the correct way, push cushion into pouch and sew up the final edge back hand with the edges turned in. All I can say is, “Yum!” I love the stripes. It’s lovely. I really like it. thank you, I’m really pleased with it. Can’t wait to finish the quilt and see them both in the room.